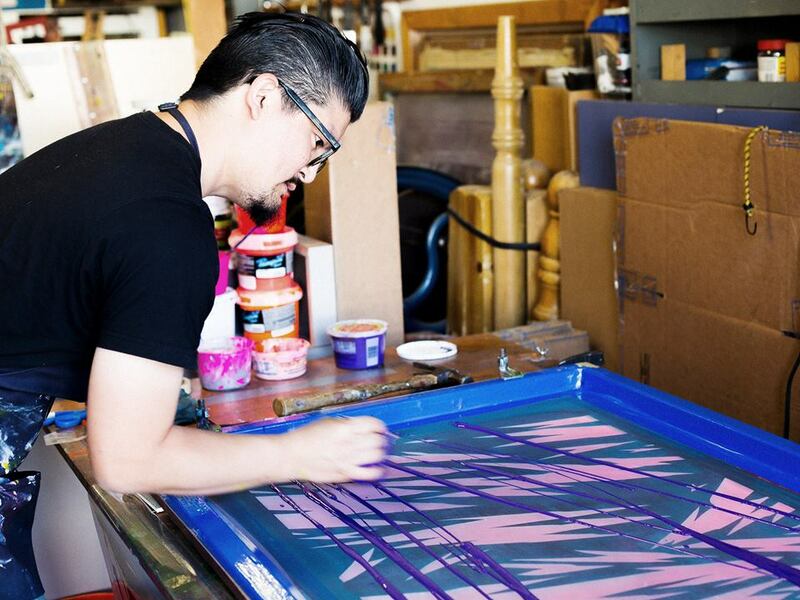 Devon Tsuno came out to Press Works Saturday and Sunday to work with Todd on a series of monotype screenprints based on Devon’s water imagery. 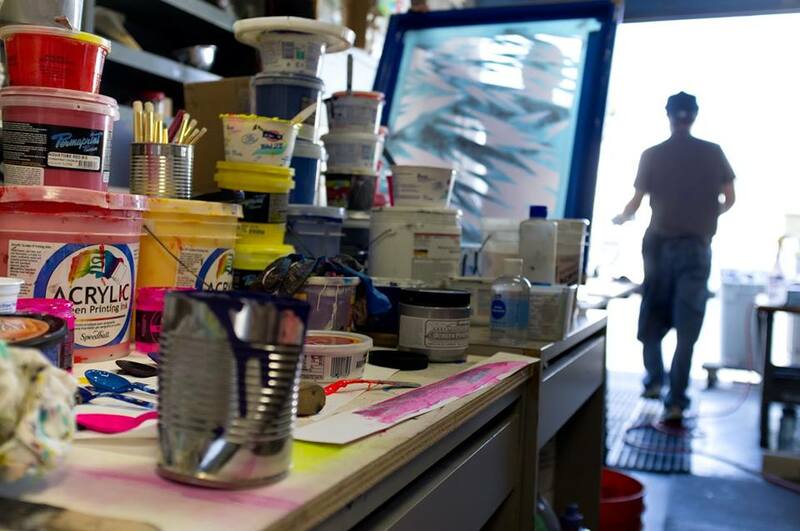 Devon spent the two days mixing colors, adding inks to the screens, and overseeing Todd as he pulled the squeegee across the screens. Assisting Todd was Humberto Delgadillo. 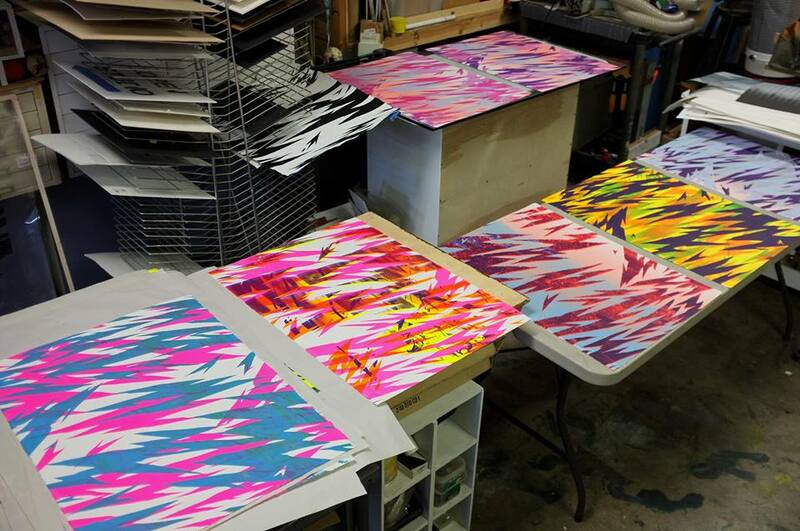 It was an amazing two days of furious printing. 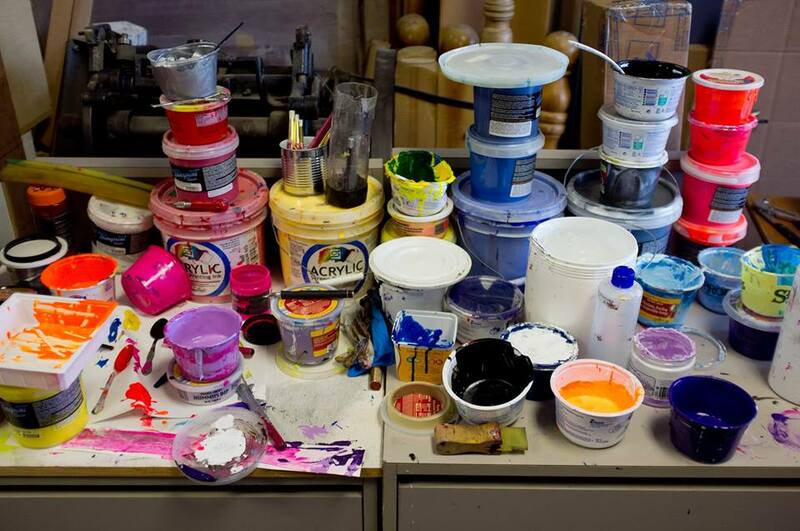 Screenprints are traditionally made by creating an edition of identical prints that require a complex registration system depending on how many colors are used. These prints are created differently. 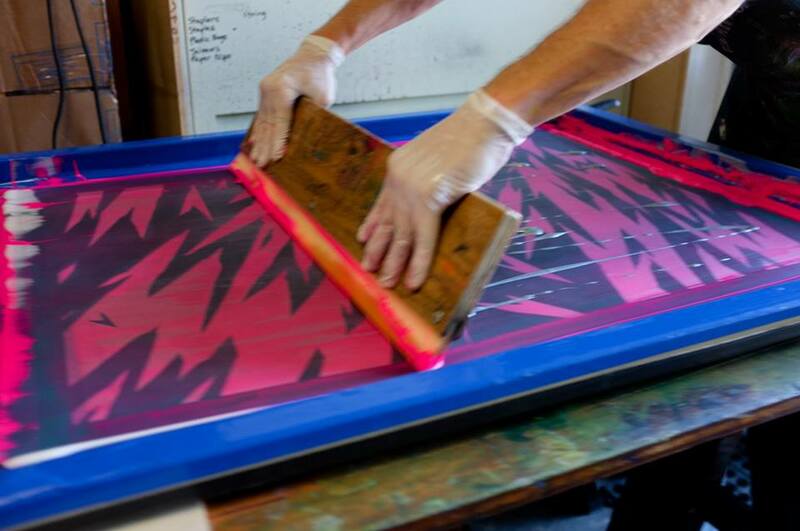 Every print is a unique image that originates from one of the stencils but comes out different when we apply a variety of inks in different ways to the screen. Videographer Ace Carretero arrived on Sunday to film us in action and put together a short video of the process for quick release. Ace is working on a longer video soon to be released in segments. We can’t wait to see it. Ace’s laid back interview style put Todd at ease as he is not the stage type. 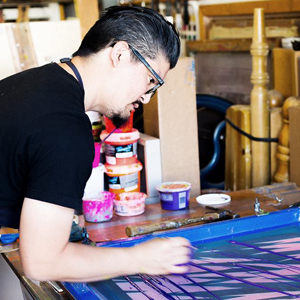 Photos by Devon Tsuno and Ace Carretero. Sweet Clifford Brown. Clifford Brown and Max Roach Incorporated.